SLIM AND LIGHT 19.5" 2-IN-1 TABLETOP PC. HORIZON 2s brings all the innovation and fun of the HORIZON family of tabletop PCs in a slimmer, more portable device. 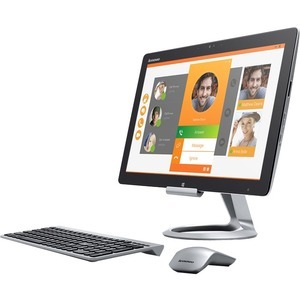 It still offers two great modes, operating upright with the optional stand accessory (Stand Mode) as an all-in-one desktop PC, or laying flat (Flat Mode) as an innovative, multi-user entertainment device that redefines together time.